For years we have used a rather casual system here in Costa Rica by which lots of land was bought & sold. Buyers generally put 10% of the purchase price of a piece of property into escrow while we real estate guys and the lawyers went about being duly diligent making sure that the property was what it claimed to be. That money was put into what we called an “escrow” account. Well, as it turns out, those escrow accounts were anything but actual escrow accounts. They were simply the attorney’s business bank account and he held the money pending the closing when he would then disburse the funds. The process of buying a house or land in Costa Rica did include fewer steps, although I’m not sure it was necessarily a clearer or safer process for buyers and sellers. Although we haven’t experienced any issue in our office, we have heard a few stories of deposits not being returned due to defects in the title or terms of the Purchase and Sale Agreement. That is not the case now, as everything is clearly explained in the legal documents for a deal. Last week, we was visited by two lovely ladies from Stewart Title Company. Even though our companies haven’t worked together (yet), they wanted to drop off their business card and a one sheet on “How To Open An Escrow Account”. They went through it line by line and the words “Blog article! Blog article!” kept echoing in my head. It’s the life of a writer who also happens to be a Costa Rica real estate professional. Ok, so you find your dream property in Costa Rica and negotiate a good price. Your lawyer drafts up a Purchase and Sale Agreement, and all of the terms (including the escrow information) are contained therein. 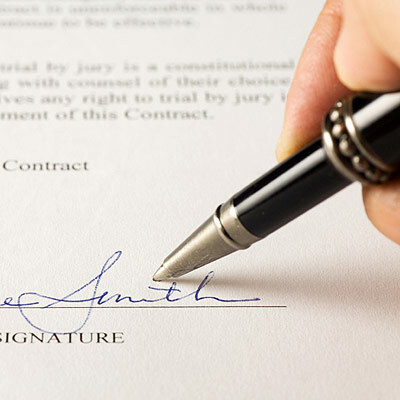 Usually, your lawyer will recommend an escrow company he or she has worked with successfully. The last one, Proof of Income, often raises the eyebrows of prospective buyers, but escrow companies have to ask for it since the Bank Secrecy Act was tightened when the Patriot Act was passed. The IRS and other government agencies just want to make sure people are not laundering money in a foreign country like Costa Rica. Simply put, banks in Costa Rica now require a legal document for private transfers of large amounts of money. They will not release the funds to the seller if it is not provided. There are still instances when property transactions and large amounts of money are kept out of the banks, but understandably most people don’t feel comfortable living with a stack of money in their house (even in a safe,) and I don’t blame them. Title- Issues can include improper registration in the National Registry (Registro Nacional), clouded ownership, probate, etc. Property Size- Normally, contracts stipulate that “the size (in square meters) of X property will not differ more than 3% from register survey; however, I have never experienced a deal that did not close because of this issue. Liens/Encumberances- Restrictions on the title/property that can be financial, environmental, or legal. The vast majority of times, a good lawyer will uncover some aspect of the property (referenced above) that requires clarification and/or fixing. In rare cases when there is no solution to the problem during due diligence, the buyer is able to request their deposit be returned. Escrow isn’t the most exciting aspect of buying Costa Rica real estate, but it is important and it does work to the benefit of sincere parties. Pura vida. My first visit to Costa Rica was in 2002. I immediately fell in love with the warmth of the climate and people. After spending two weeks in San Jose, Puerto Viejo on the Caribbean side, and Tamarindo in Guanacaste, I knew there was a good chance I would return sooner than later. Sooner came just 6 months later when my uncle mentioned he was flying down to Costa Rica to close on a piece of property in the Southern Pacific Zone. On that trip I found my own piece of paradise above the small town of San Buenaventura, home to the San Buenas Golf Resort. Two years and 8 trips later, I decided to move to Costa Rica full time. Every day I am thankful for that decision.